Nothing dazzles the eye quite like an uninterrupted expanse of beveled mirror…and CDD 9000 delivers this look with flair! 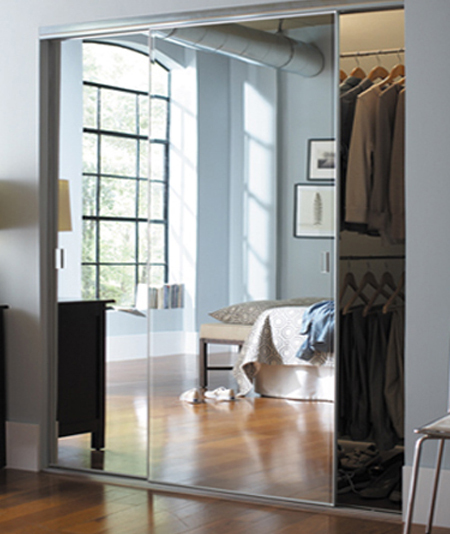 As our top of the line Frameless Wardrobe Door, CDD 9000 features "select" quality 3mm plate mirror and exceptionally strong aluminum extruded frames style. CDD 9000 is available in your choice of bright clear (silver), satin clear, bright gold, satin gold, hi-gloss white, dark bronze and brushed nickel with the option of polished mirror or 1" bevels on the long edges for an ultra clean look and feel. 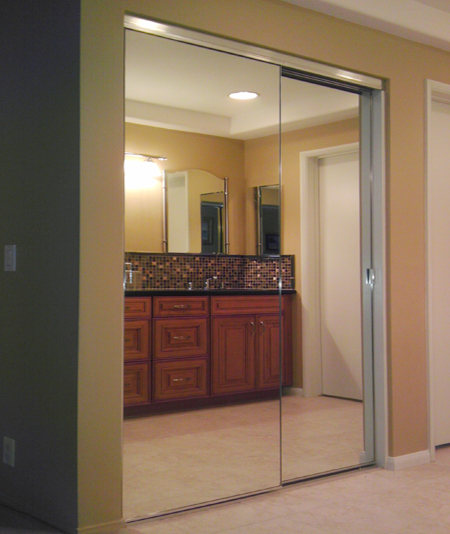 In addition, an optional 1/2" Beveled Mirror Fascia may also be added for an edge-to-edge total mirror look. 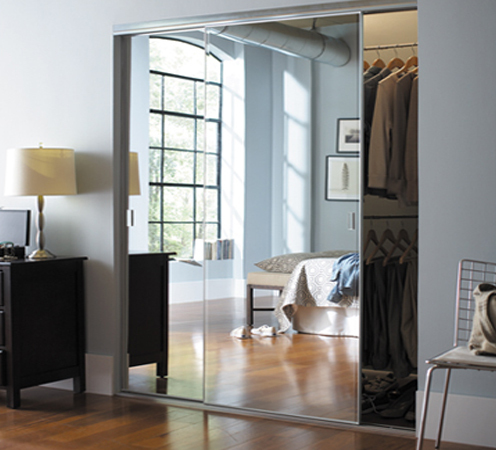 The CDD 9000 wardrobe door features OUR exclusive Ultraglide 2-1/4 deep felt-lined top channel and deep jump-proof bottom track with precision 1-1/2 dual race bearing wheels for velvety smooth operation. 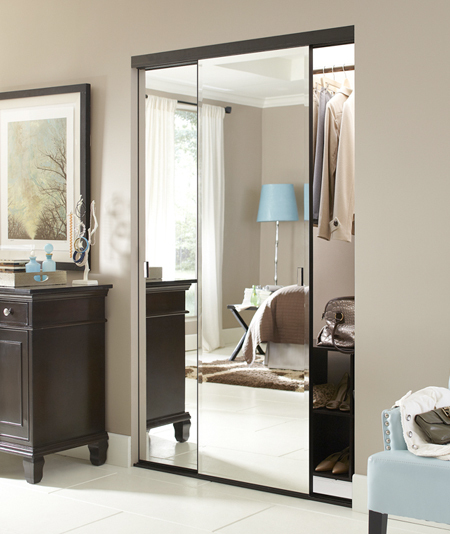 Tastefully designed, color-matched authentic mirror handles complete the all-mirror look. 8) Optional Ultraglide® triple tracks.